There’s one extremely minor reason to upgrade to iTunes 10 (if you must use iTunes at all), and that’s the fact that Apple seems to have finally figured out how to provide an attractive, intelligent, and functional manner for displaying cover art outside of the main application. No need for a separate CD cover art app any longer. 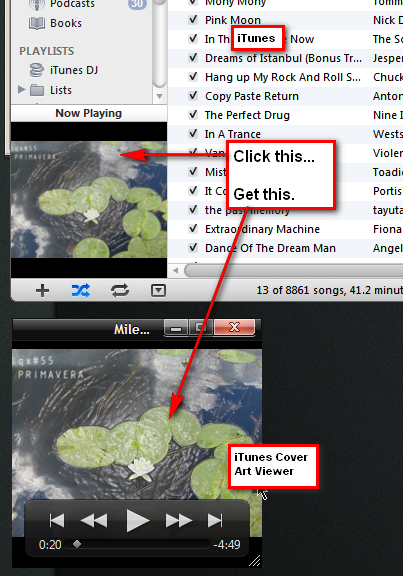 Click the album art pane in iTunes (see image below). Move and adjust the cover art window. Minimize iTunes, because it is still ugly. 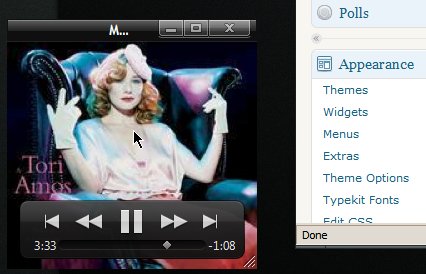 Hover over the album art to control iTunes, or use an alternative method (see links below). Get on with life and living. iTunes can be downloaded here. Still not hot on iTunes 10? Here’s how to install it without extra crap that you don’t need. 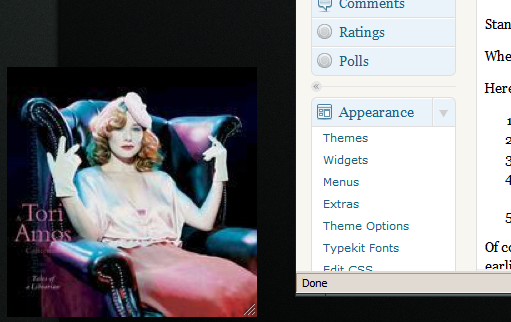 What could be more modern than being sent email each time a blog updates? Why, it's practically hipster territory. I tend to post 2-4 times a month.